There are countless military families that include children with special needs. When soldiers transition back into civilian life, they may lose access to previous support that covered certain types of medical equipment for their child. That's why 3TSports is launching Operation Freedom Forward. 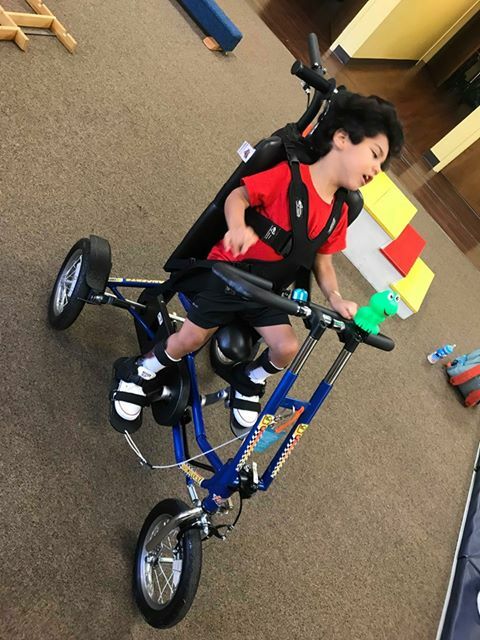 Our mission is to pay forward the honorable service of our veterans by supporting them and their children with mobility devices instrumental to their rehabilitation. With your help, we can give our troops and their families freedom & support to continue moving forward. What better way to pay forward the honorable service of our veterans, than to help their children. Throughout 2019, 3TSports Team Members will be competing in various athletic events to promote our cause. Primarily we will be focusing on IRONMAN Triathlons in multiple cities nationwide. Our goal is to provide 50 adaptive bicycles this year to special needs children. The bicycles are beneficial to their therapy and are custom built based on the child's diagnosis. Average cost is $5000 each.